If you have a product with a variation, such as Apparel or Shoes, you will need to locate the correct Child ASIN for that product and add it to InventoryLab. If you don't have the child ASIN, when you submit the Parent ASIN in the search field, a variations button will appear. 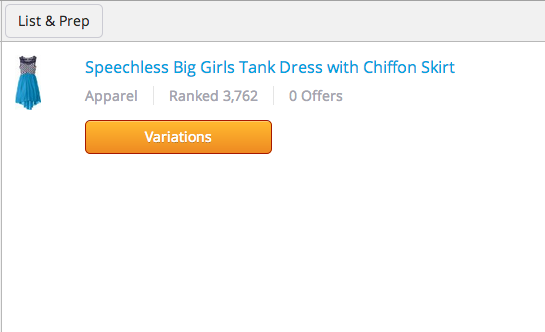 This will allow you to search and list with the correct Child ASIN. 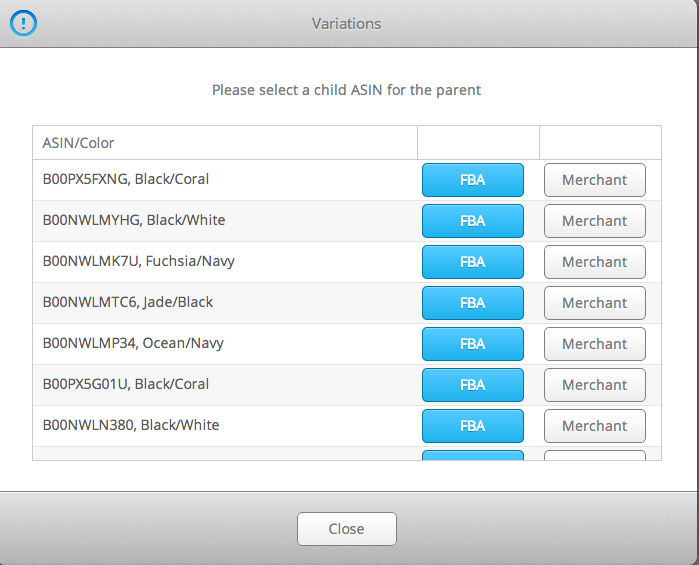 If you cannot find the child ASIN for your variation, you will need to first create the variation in Seller Central.